Summary of tariffs for the creation of mobile applications. It includes all features of the system without the possibility of publication of the application and enter your data in Google Developer account and IOS. A unique opportunity to test their abilities to create a mobile app for yourself or for a client. If you were able to create a mobile application, ordering the publication you go to the Developer category, and you open up additional opportunities for the publication of mobile applications. The test rate is not for a mobile application TAXI – is added separately. Or is developed individually. Tariff customer rate that is valid from the date of your mobile application. We create your mobile app on your requirements, place it on the Internet, publish. Once the application is published, you get access to your account and use analytics module, the module send Push notifications so you can get the support and, if necessary, re-publication for a conditional payment. Saving is very high, because you don’t pay in Google Apple. Application has been placed on our account, but you control it. Suitable for companies that do not have a staff of programmers and save on building and maintenance. Any kind of business can choose for themselves the necessary template. This tariff is to create a mobile application designed and gives you the opportunity to earn money for the creation of mobile applications. 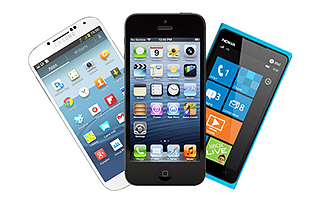 This cell is in the business is not yet occupied and does not have strong competition, How to make money on the creation of mobile applications? Very simple! Register a test account, create an application showing it to your customers, and if they are satisfied – publish on our accounts (saving money) or your Developer account. And you get the money from the customer for the creation of which is between 500 dollars and above. For using services to send notifications, you can take a client’s monthly payment. You pay only once a year. Imagine that you have created 10 applications for the customer and take them on a monthly basis with 30 dollars. Not a bad salary, even for a businessman. But the possibility of creating open even a schoolboy! Do not whine and cry that there is no money, we give a tool to generate income! This is your way to happiness and prosperity! The program is designed for those who want to earn by helping others! This version of the help and our thanks to those who help others to prosper. Inviting customers to use the service to create mobile applications, you can get 10% of the income received by our company. Creating the application of mobile devices – a new step in the development of Internet technologies.